Nordic Walking | just a walk in the park? Most of us can walk, right? We’ve done it since about the age of two – so how hard can ‘walking with sticks’ really be?’ Well not that hard, but there is an important series of steps to learn to do it properly and achieve a good technique that will deliver optimum health benefits. So NO, it’s not quite as simple as just ‘walking with sticks’ – but YES, if you can walk, you can of course be taught to Nordic Walk! 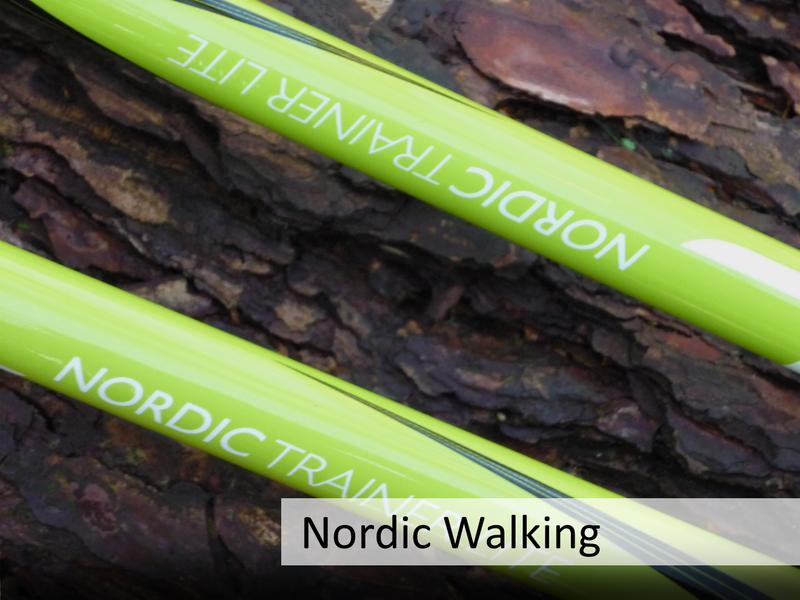 Green Your Exercise | why Nordic walking? Relatively low perceived effort – people tend not to feel any stiffness next day! Helps to enhance mood – so get ‘walking back to happiness’. Studies indicate improvements for levels of depression, anger, vigour, fatigue and mood. “Well designed and run course – very enjoyable. Would welcome the opportunity to join organised leisure walks”. 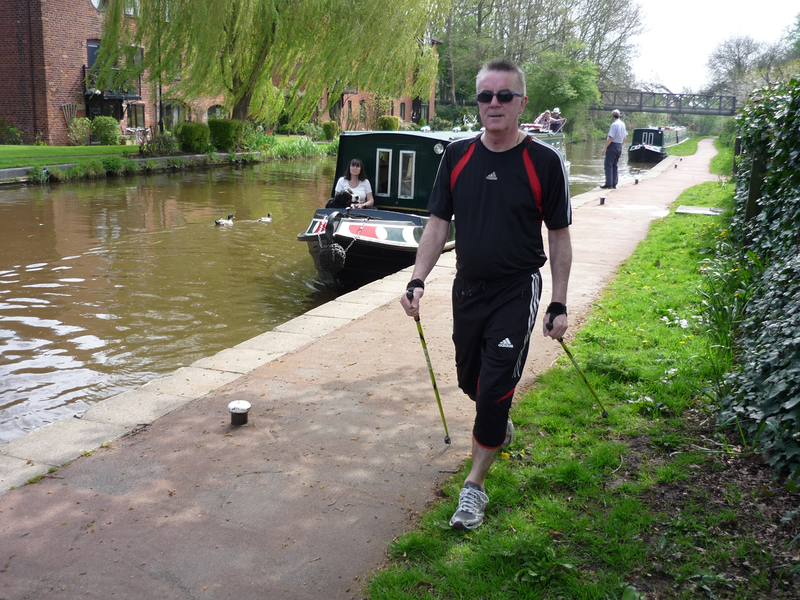 We teach the International Nordic Walking INWA Technique, and have been qualified by British Nordic Walking. The 10 step technique, which is to us seems the most technically advanced technique, covers all aspects right from good posture to a basic ‘wellbeing walk’ (steps 1 to 5), through to or a more technically advanced and demanding ‘fitness walk’ (steps 6 to 10) for those who want to push that little bit harder and again full fitness, strength and stamina benefits. We prefer to teach over a weekend, in an inspiring green space landscapes which promote more focused learning, teaching in 4 sessions (2 each day), with refreshments breaks between sessions. We provide immediate video feedback on walk technique – you can view yourself walking and immediately work on improving your technique! We also use special equipment and a range of activities which help to learn and perfect each of the 10 steps and make it more even enjoyable. Because we choose only to use top quality venues, it’s more of a weekend break experience, than just learning a new way to walk. We cater for single individuals, couples, family groups and teams in small groups (max of 10) – or if you prefer private tuition in smaller groups, we can organise that too. 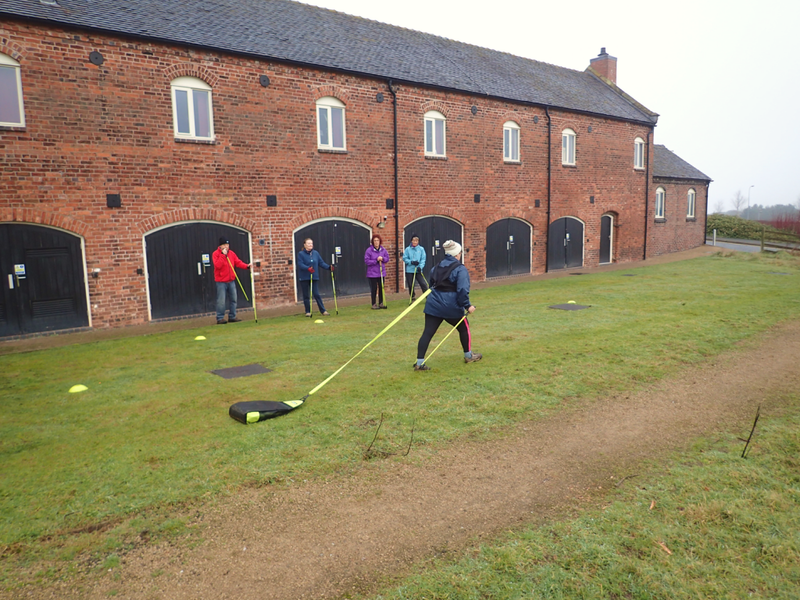 Course Prices from £55 per person for a weekend course (includes pole hire). After completing the course you’re off and walking! Join us for regular weekend (Saturday morning) or weekday (Thursday morning – Winter, evening – Summer) walks. 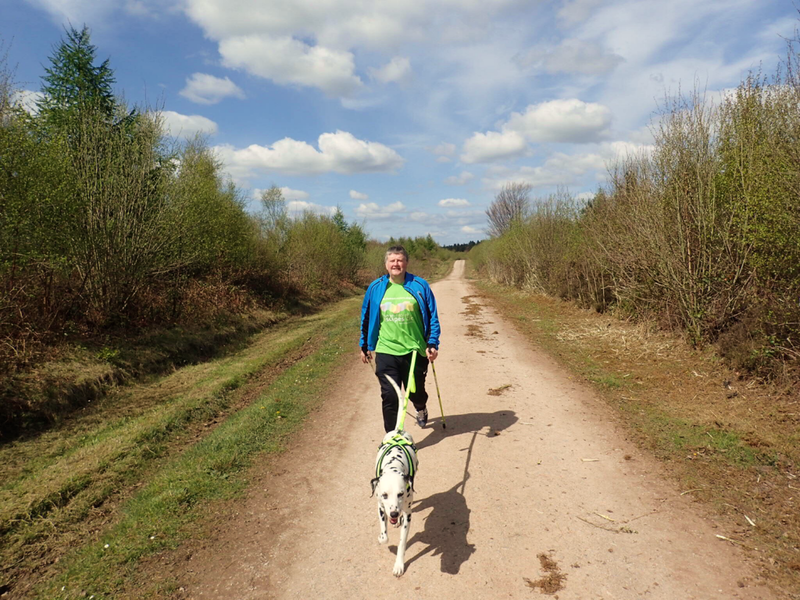 Walks are usually 1 hour duration and organised as ‘wellbeing walks’ to suit those just completing the course and who may want to gradually build their technique and fitness. On Saturdays we do often add an extra 1/2 hour for a slightly longer, faster ‘fitness walk’ for those who want to stretch their legs a little more. Usually once a month we extend the Saturday morning walk to 2 hours for a longer landscape walk and include refreshments and a social chat at the end of the walk. We periodically brush up on technique, preventing walkers picking up any bad habits, and ensuring a good walk technique is maintained. We only walk in the highest quality green landscapes for maximum wellbeing benefit, at various locations in and around the North Staffordshire (and South Cheshire) landscape, including Newcastle and Stoke-on-Trent and beyond. Example venues and walk locations are detailed below. Pre-paying avoids sorting money (and change) out each time you walk – it’s easier and cheaper! Evidence shows that committing to regular exercise, forms a sustained habit after a period of time, with less likelihood to cease the activity. We’ve structured our pricing to reduce the price for regular and sustained participation, enjoyment and health benefits. 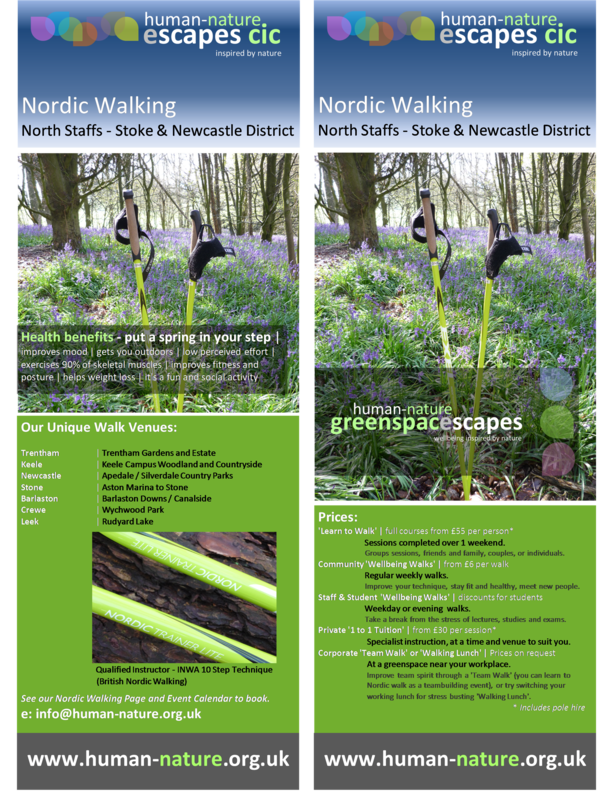 We aim to be different by walking in the very best green landscapes our area has to offer. 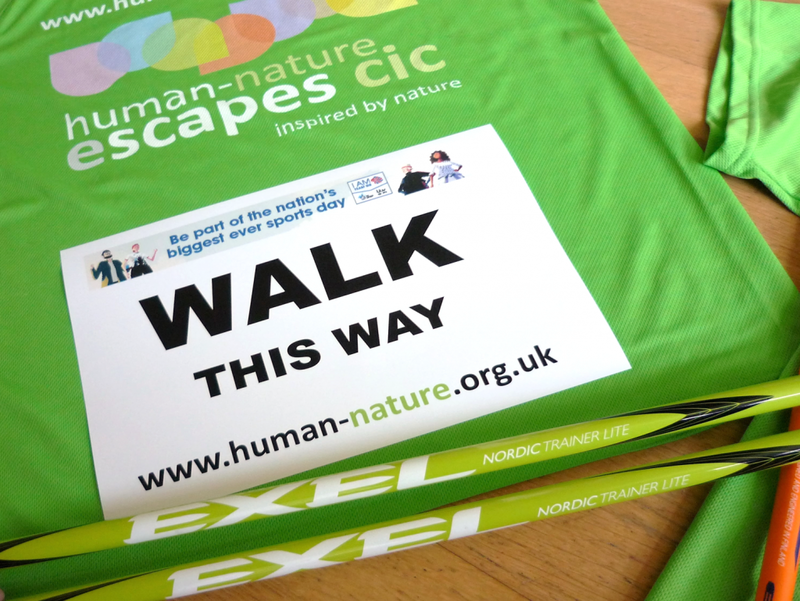 Something we can’t quite get our head around here at Human-Nature is why Nordic walking seems to be more popular with the ladies than with men – so we thought we’d try and redress the balance. So guys, come along and join us. 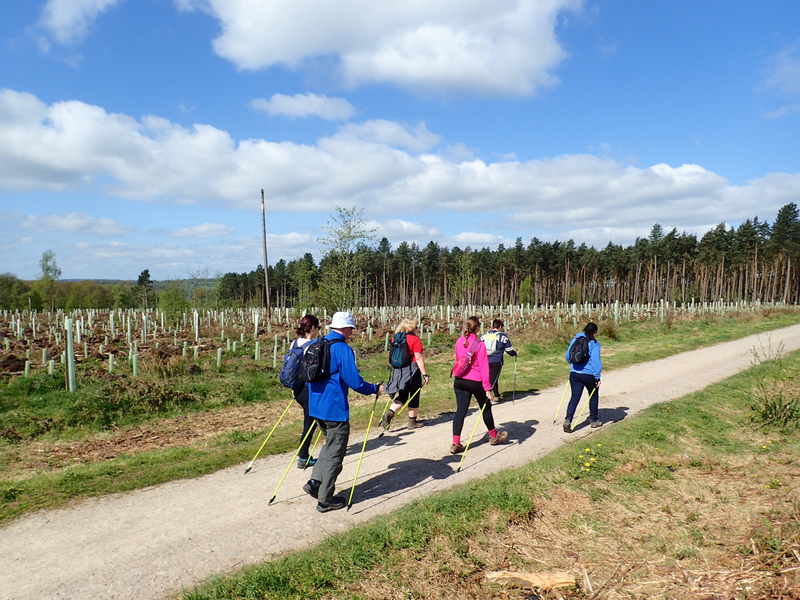 Nordic walking will soon become a competitive and fully recognised sport in its own right – so why not become one of the first and join us for a ‘walk out’. It’s really great for the non-Lycra clad brigade, that either don’t like or just bored with the gym. It’s also really good for those of us who feel that they have out-run their best at pounding the streets and their knees just can’t take that any more! Studies have indicated that Nordic walking is as effective as jogging, but much kinder on the joints. Also muscles tend not to feel any stiffness next day, unlike jogging. 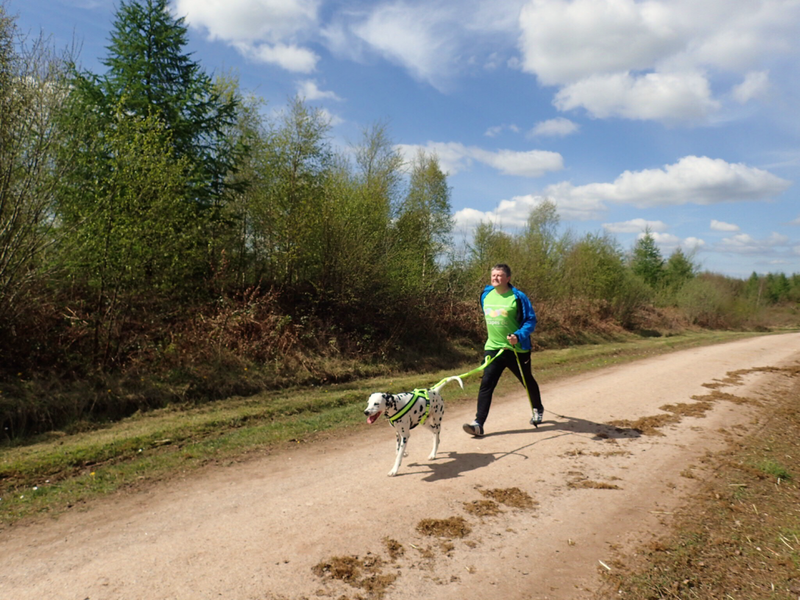 Why not come along and join our British Nordic Walking qualified instructor – Jake Cliffe (seen here ‘pawdic walking’ with our Dalmatian mascot ‘Lola’). All you’ll need is a pair of trainers with a good, deep treaded sole and suitable outdoor clothing for the weather conditions. You don’t have to be super fit – as long as you can walk, you can Nordic walk! 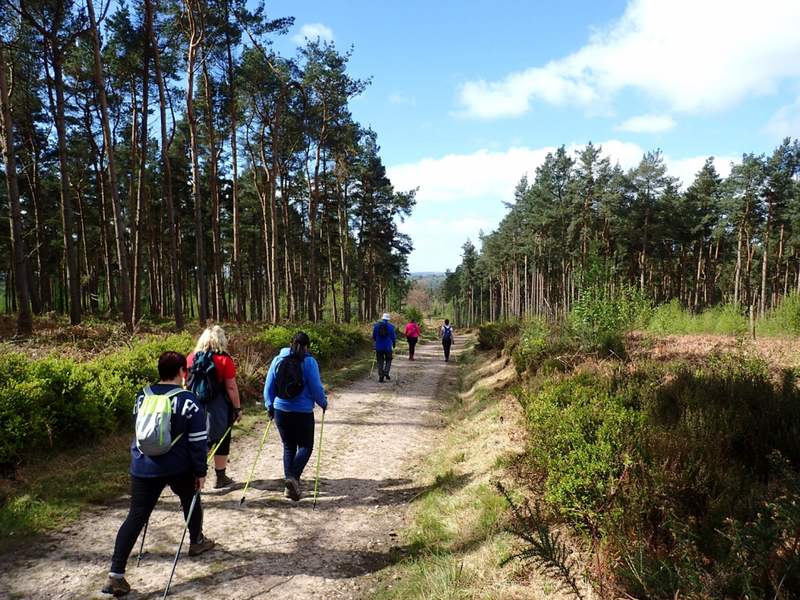 (Please note that to join our walking group new walkers must have attended the training course – or an equivalent course with a qualified instructor). 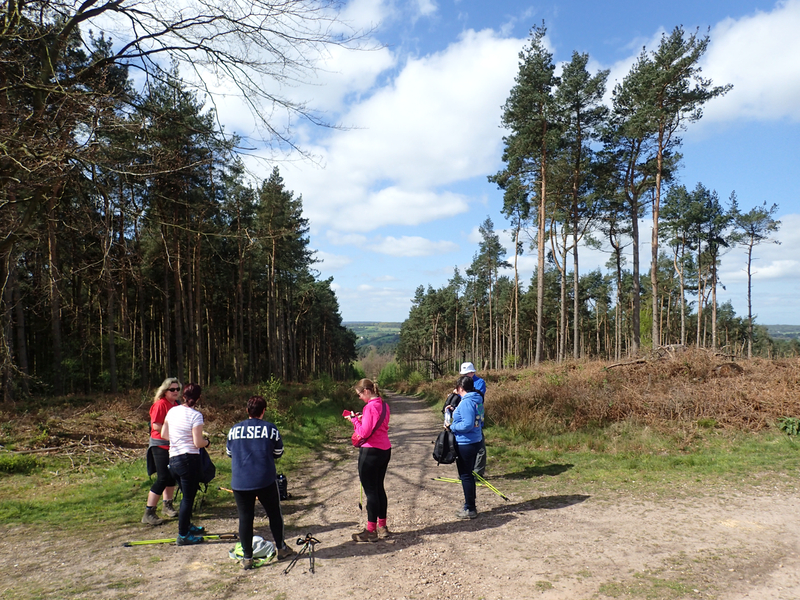 Contact Us to join us Nordic walking. 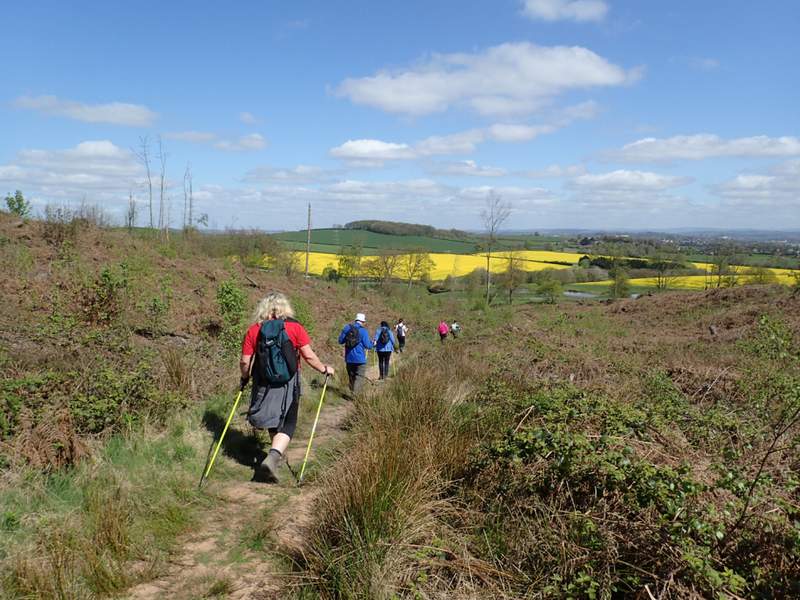 Check our Events Calendar for our next course(s) and future walks. Physical Activity Readiness Questionnaires (PARQ) forms need to completed ahead of participation – these just ask some basic health questions to check that you are sufficiently fit to participate (or if you are unsure, you can check with your G.P. or a Physio). 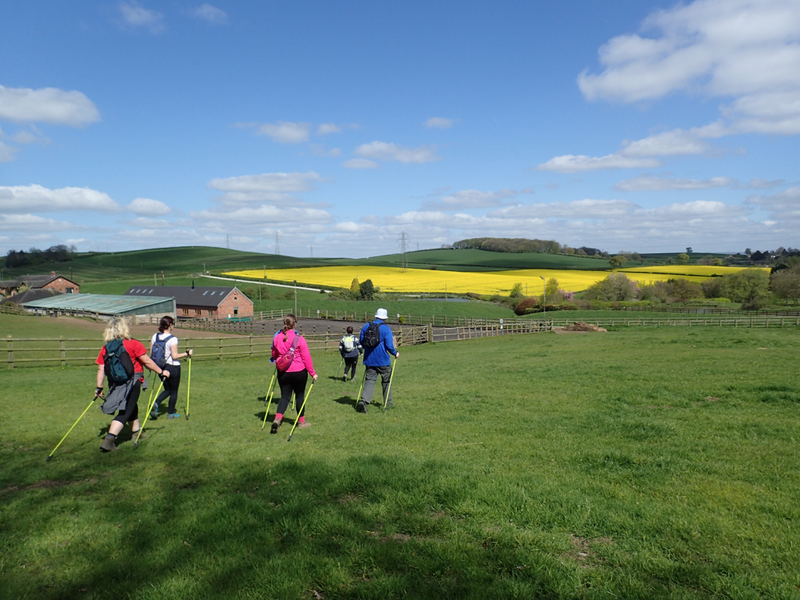 We currently don’t offer Nordic Walking for people under 18 years. We would also be interested in talking to any organisations promoting good physical and emotional wellbeing. Encouraging members of our communities and workplaces to be more physically active is becoming increasingly important, to relieve the cost burden of treating ill-health for our NHS. We want to do our bit to ‘infect the NHS with wellness’ through the process of ‘health creation’ – where people take action themselves to preserve their own wellbeing. 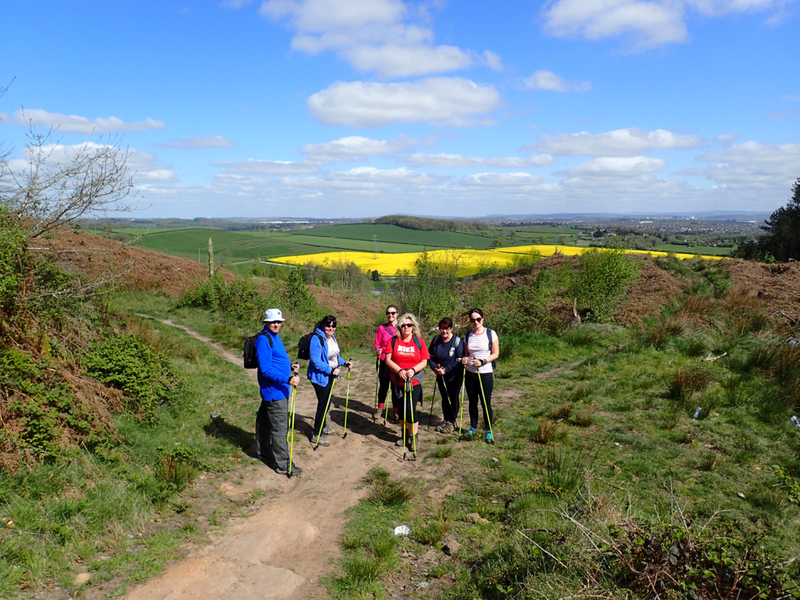 Contact us if we can offer our services to your client groups who might like to try Nordic walking – even as a stress busting ‘Walking Lunch’! We may be able to offer preferential rates for specific groups, including students or people wanting to Nordic walk to sustain health recovery and resilience. 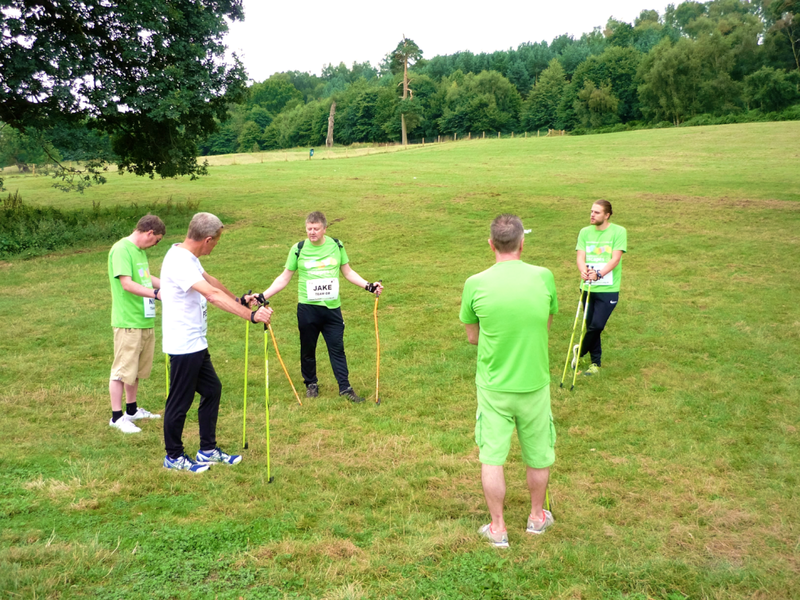 We also offer Nordic Walking as a corporate team building event – where employees learn the Ways to Wellbeing, learn Nordic Walking, and come away feeling a stronger, happier and healthier team.